This is the company's historical account. 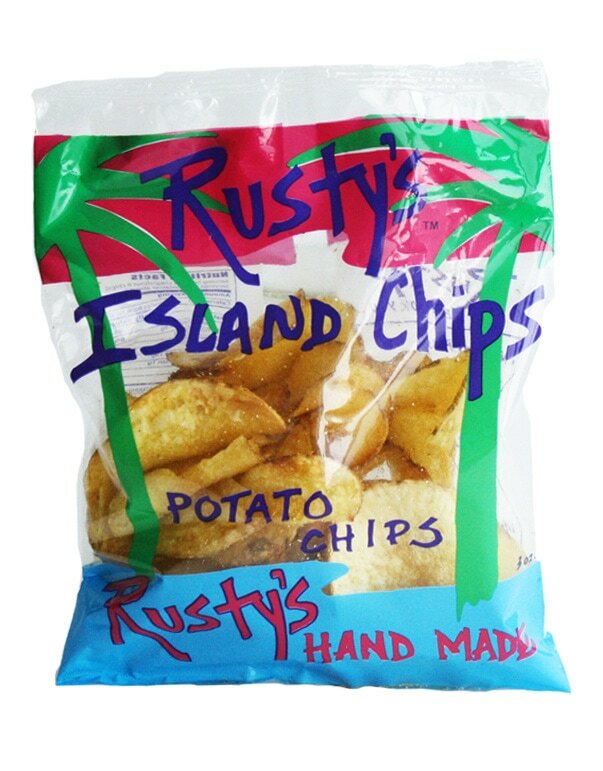 Once upon a time, 1980, Rusty, while dreaming of far away places, came up with a plan to make Maui Potato Chips on the mainland. 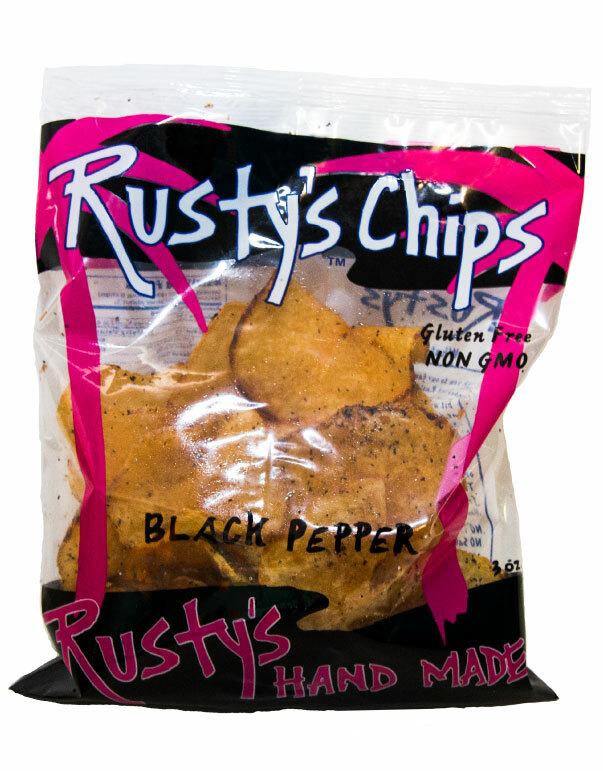 Six months later, Rusty was manufacturing Rusty's Island Chips in his own little kitchen in Costa Mesa, California. His Maui recipe chips were selling like hot cakes in every gourmet market in Southern California. 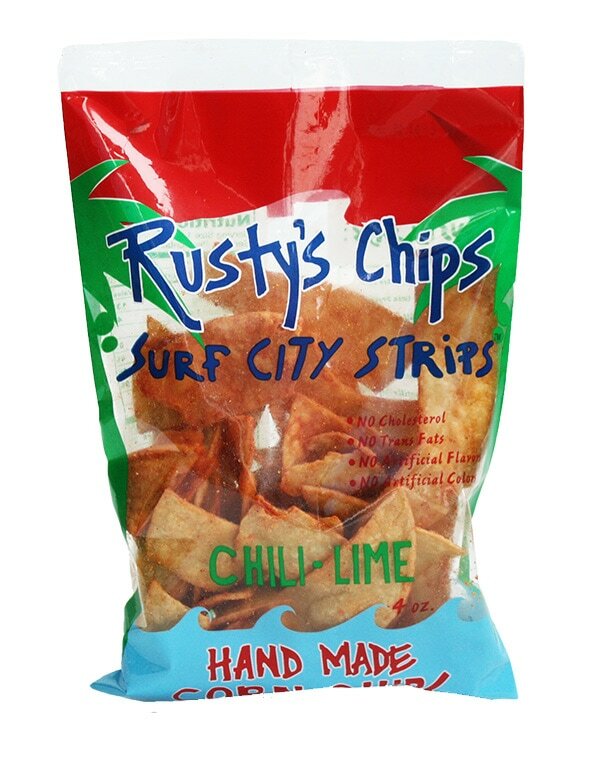 By 1990, Rusty's Chips were in every major market as well. He was shipping chips to the east coast by the truck load and even to Hawaii. Rusty's little Maui chip company grew and grew. It got so big so fast that the stress was getting to Rusty, and he wasn't surfing any more. He did not have time to be on his sail boat. He wasn't happy. So he let a big company swallow up his little company. He has his own chip kitchen in Huntington Beach and things could not be better. 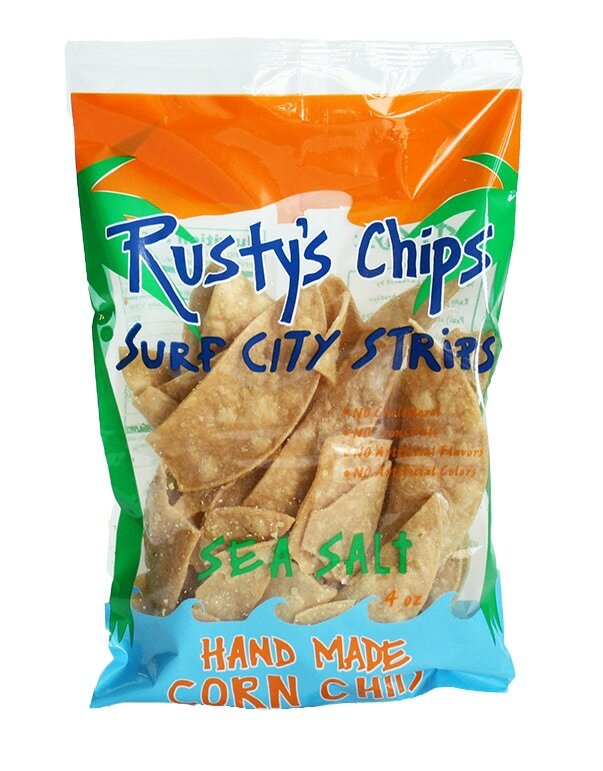 Little markets, deli's, and sandwich shops up and down the Southern Californian coast started selling Rusty's hand made chips. ​Now that Rusty has been able to increase his production in his own little shop, he has added some new customers. You can now find Rusty's at all the Gelson's Markets, all the Bristol Farms, and most of the Whole Foods in southern California. You can even find them in the 2700 rooms of Steve Wynn's new casino in Las Vegas 'Wynn's Resort'. They're in Mr. Wynn's bag but hand crafted and packaged by Rusty's Chips.